Opera browser VPN stopped working. Always down. I have last 32-bit Opera web browser v45 on Linux, but VPN totally stopped working. Used to be spotty, now kaput. VPN was the only reason to use Opera. They stopped supporting 32-bit. Now Slimjet is better and still supports 32-bit, but no VPN. I'm off Opera because their good ideas are quickly abandoned, leaving end users in the lurch. Guys, if you roll out a VPN feature, then commit to it and stick with it! Otherwise you create a lot of distrust and ill will. Opera browser VPN stopped working. Always down. I have last 32-bit Opera web browser v45 on Linux, but VPN totally stopped working. Used to be spotty, now kaput. VPN was the only reason to use Opera. They stopped supporting 32-bit. Now Slimjet is better and still supports 32-bit, but no VPN. I'm off Opera because their good ideas are quickly abandoned, leaving end users in the lurch. 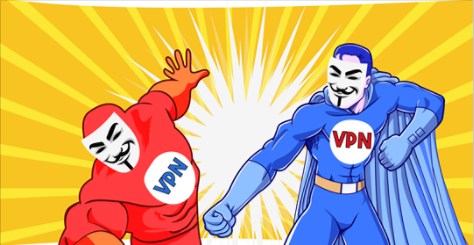 Guys, if you roll out a VPN feature, then commit to it and stick with it! Otherwise you create a lot of distrust and ill will.